⬅ Starting a HR Tech in Singapore? That’s hello (for man) in Thai. For ladies, you are supposed to replace Krab with Kup. Something that I was reminded of over my recent visit to the city of the land of smiles. It had been more than 3 years that I haven’t visit Bangkok – an abnormally for most Singaporeans given how much we typically enjoy that place. Nice food, great people and for many, excellent shopping. For me, the first two is more than enough for a great trip. And it couldn’t be made possible without the invitation by Travel Daily to speak at their inaugural HR Executive Summit event. Over a full day, 30+ senior HR folks gathered at SPACES (a very cool co-working space) to learn from each other as well as speakers from HR, leadership development, operations and technology. As usual, I would be talking about HR Tech. But at the event, I also learned about the unique pain points that hotels are facing. They usually hire many people, running around at different locations, time-sensitive and at the same time, putting up a smile on the face. It is a tough job and hence attrition can be high. And when you are down on headcount, you face the struggle to train your newcomers properly versus putting them straight to the floor. Which led me to do this article. Many examples I gave in my presentation, unfortunately, weren’t relevant to my audience and I felt I short changed them. I knew there must be some HR Techs that could work well in a hotel environment. So I set forth to do some research and uncover a bunch of them that are gaining or gained adoption in the hotel sector. One of the common issues raised by the hotels’ HR at the event is how they can keep their people engaged. Typically they would have big internal events which would drive up the engagement scale but it would just drop equally fast soon after the end of the event. Just like keeping fit, you don’t do a single mega marathon to clock your entire year’s mileage. It should come in frequent, smaller doses. This is where EngageRocket comes in. 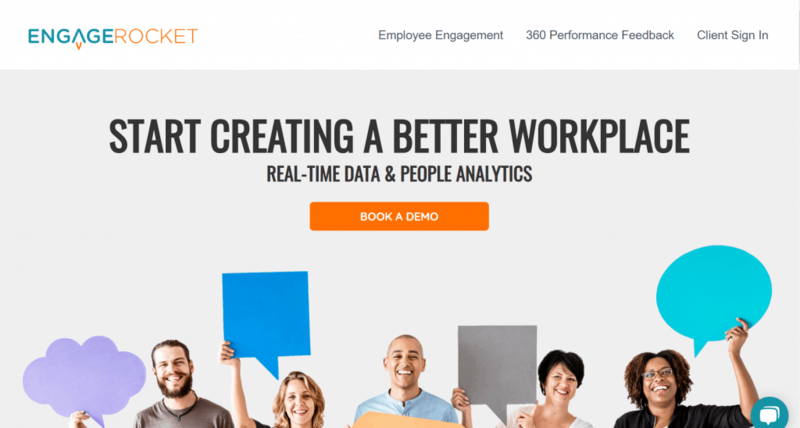 EngageRocket builds better workplaces with people analytics, helping companies see the business impact of improving their employee experience. And they did that for a Singapore-based private hospitality club with a headcount of >200 employees. They wanted a way to become an employer of choice in the hospitality sector amongst private clubs, by monitoring and improving employee engagement in real-time. Their challenge was the diversity in their workforce, with staff in their F&B arms, to the housekeeping staff, to front-of-house and even corporate staff. Identifying and improving the employee experience in each of these segments of employees was a responsibility held by leaders at all levels of the club. Prior to EngageRocket, they had run surveys infrequently using expensive consulting companies. However, while the data came with good comparison benchmarks, these were not useful in driving action as the latency of the data and the speed of staff turnover in the industry meant that the issues surfaced through the consultants’ analysis were always too late to be relevant. The HR team ran multiple pulse surveys to gather overall employee sentiment, as well as on an ad hoc basis to get employee feedback on various staff welfare decisions. The analysis allowed them to dive deep into specific teams with challenges in order to support them in a timely manner, while also getting immediate feedback on their people decisions. By focusing on a few areas of low engagement, the club increased the engagement score by 10% and eNPS (Employee Net Promoter Score) by 20 points in less than 6 months. While it’s still early days, the ability to run targeted, immediate interventions created a more than 10X ROI as opposed to similar services that were purchased in the past. Meanwhile, the effort from running and analysing the data from the surveys is estimated to have been reduced by almost 20 man-days, with overall efficiency gains conservatively estimated at between S$100-250K. The nature of the hotel industry gives way to high attrition. Hiring them fast enough is one thing, getting them up to speed is another major challenge. That prompted a major hospitality company with over 20 million guests a year and 12,000 staff to look for a for faster and more efficient ways to onboard its millennial customer service employees. The hotel strongly believed that the customer service employees‘ skills and attitude were crucial for the customer experience. However, the Customer Operations Director observed that his millennial staff was not engaged during traditional classroom training and wanted to test new ways to strengthen the service culture. Customer service was predominantly delivered by young part-time employees that stayed only temporarily with the organization. High turnover and frequent onboarding of new staff made training a daunting challenge. How could the hotel strengthen the service culture and improve customer satisfaction under these circumstances? Be cost-efficient with a workforce that is characterised by a high turnover rate. Allow frequent onboarding so that staff is ready just-in-time. Training translates into behaviour change and improves customer satisfaction. 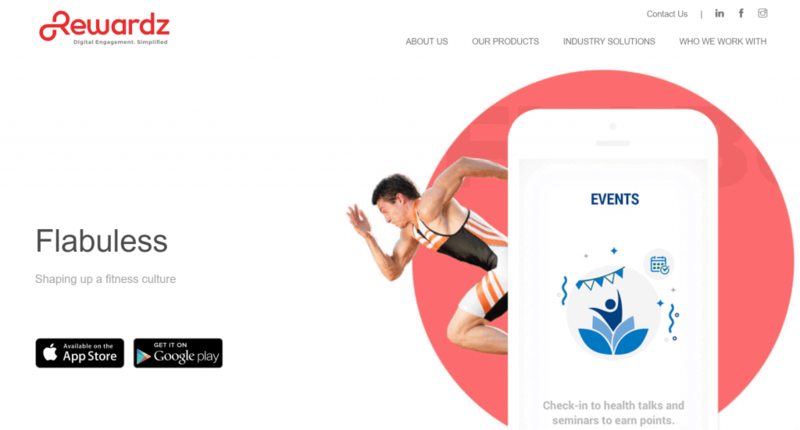 They decided to decided to use a mobile, micro-learning solution – Gnowbe. 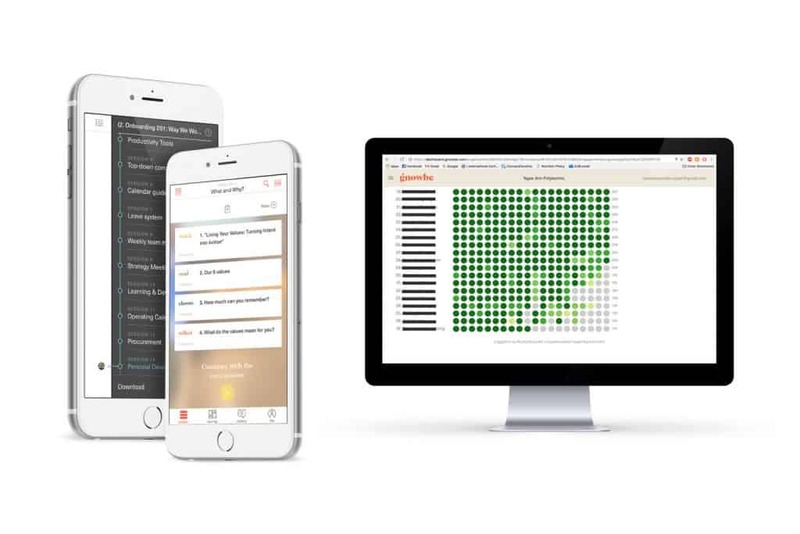 They leveraged Gnowbe’s mobile ﬁrst microlearning solution to reach their customer service employees – physically and emotionally. 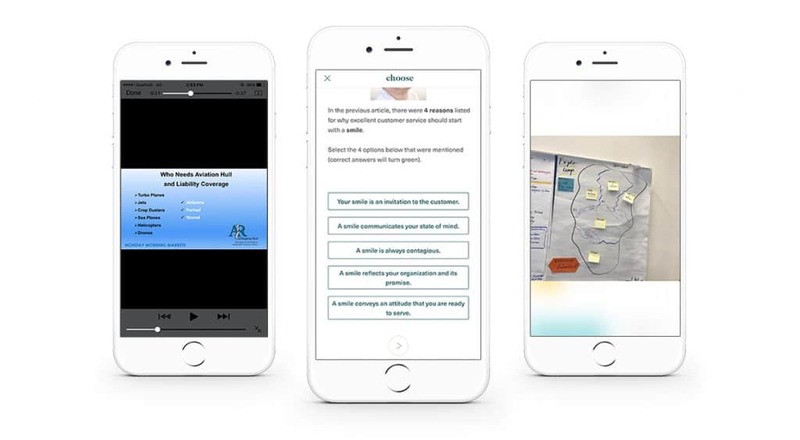 It was used as part of a blended learning solution where key modules for service ambassadors such as Introduction To Service and the company’s Unique Approach to Customer Service were delivered on Gnowbe. The organization’s Head of Learning & Development chose to transform the existing training content himself. He created an interactive, multimedia journey of short videos, quizzes’ reﬂections and quotes on the Gnowbe platform. Once designed, the programs were available for just-in-time distribution. With Gnowbe, learning was suddenly accessible round the clock. Employees savoured the flexibility they got to learn on Gnowbe during breaks or even at home on the sofa in a relaxed atmosphere. The bite-sized, interactive content captivated the young employees and helped them swiftly absorb and apply key concepts such as empathy or listening. The young users also stayed engaged by collaborating on the Gnowbe Journey Board and sharing learnings through social features. 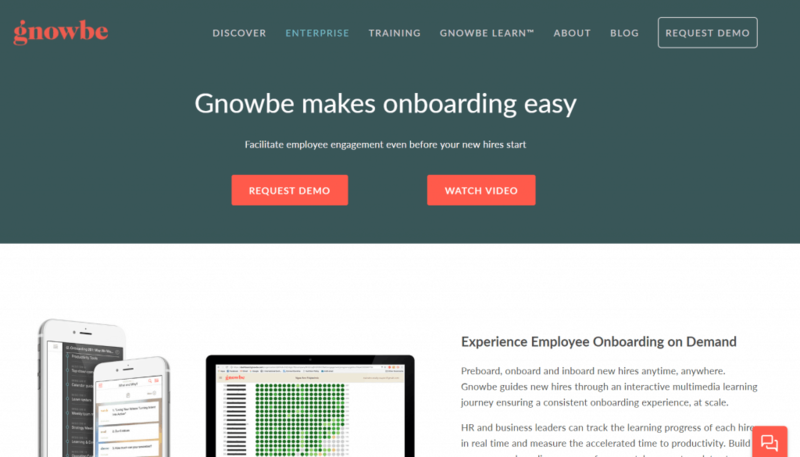 The operations director was pleased with the agility of Gnowbe that allowed him to onboard new staff any time as well reduce the onboarding time from a few weeks to a few days. He is optimistic that the customer satisfaction score will improve from 95 to 97%, and lead to an engagement 10x higher than compared to traditional e-learning platforms. With a large headcount the typically goes into the hundreds, one can imagine the number of questions the HR department would get on a daily basis. From the number of leaves I have left to clarifications on the latest policy on dress code, the sheer volume of such questions could take up a few hours a week. This led a chain of restaurants with multiple outlets in Singapore to consider a tech solution. With a ratio of 1:27 (HR to employees) and HR function being centrally located at HQ, the operational staff on the ground have limited channels to get access to HR information when needed. The “as-is” channels before the implementation were WhatsApp messaging, HR hotline and also an HR helpdesk email address. An internal visibility study with their HR operations team points to the enquiries from the staff being highly predictable, and a huge majority of their queries were coming from social messaging platforms. Due to the long wait for email replies and the uncertainty of the HR hotline being answered promptly, the preferred channel was to use social messaging channels to get their HR queries addressed. Another issue that the HR leaders were facing is the high turnover of their HR operational staff leading to high efforts in retaining tacit knowledge and having to repeat HR operational training consistently whenever there is HR Staff turnover. 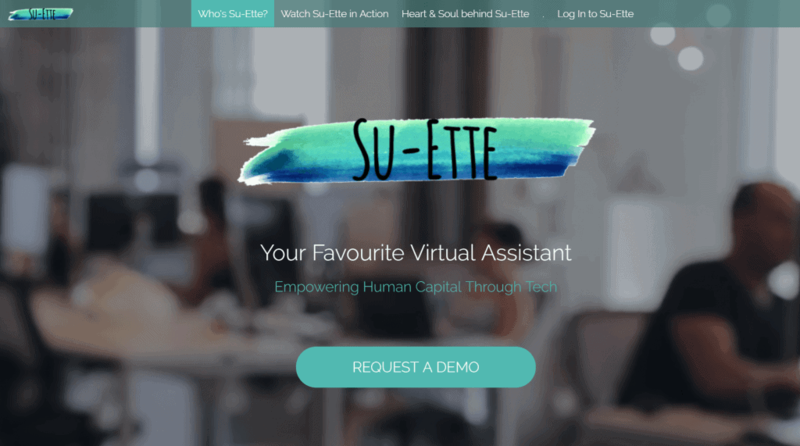 With that, they decided to subscribe to Su-Ette, entering the foray of using AI bot technologies for their HR operations. This option gives autonomy to the restaurant to build and deploy their HR Bots without any high investment or setup cost to acquire Bot technology, which is highly advantageous to an SME set up or companies beginning to explore Bot technologies. Critical to the needs of the business, the operational staff are able to get immediate replies for questions outside of HR operating hours, giving them more convenience in addressing their HR queries. This restaurant got creative in training the bot to move beyond standard replies and grew a list of intelligent replies that were directed at action triggers to link the employees to their own internal HR systems. Currently, the HR team is exploring the use of the Bot’s open API to integrate with their internal e-leave system. Other than unclogging their mailboxes, the HR team noted a decrease of 37% in time needed to resolve employee queries and deployed only one HR staff (instead of 3) to handle complex questions and redesigned her role to lead employee relations matters. 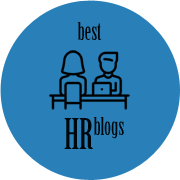 The other 2 HR staff moved onto specialised HR roles in driving the long overdue employee benefits review and also leading an implementation study on the use of microlearning for their employees. With people constantly on the move across different locations and levels, communication can be hard to achieve. Made worse when there is a major event and clear and prompt communication is key to the delivery of the event. A 3-year old Singapore hotel with 280 employees was going through that, with communications usually done via printed materials on bulletin boards or manually delivered to hotel staff (the majority do not have a corporate email address or access to computers). Of primary concern was whether or not the intended hotel teams were receiving, and reading, these notifications and policies and in a timely manner while working on-the-go. The departments itself used WhatsApp groups to communicate informally with hotel engineering, housekeeping, and front desk personnel. The management recognized that WhatsApp is not in compliance with the GDPR-regulations and that a corporate fully compliant communication tool with a proper feedback loop and data analytics was required. 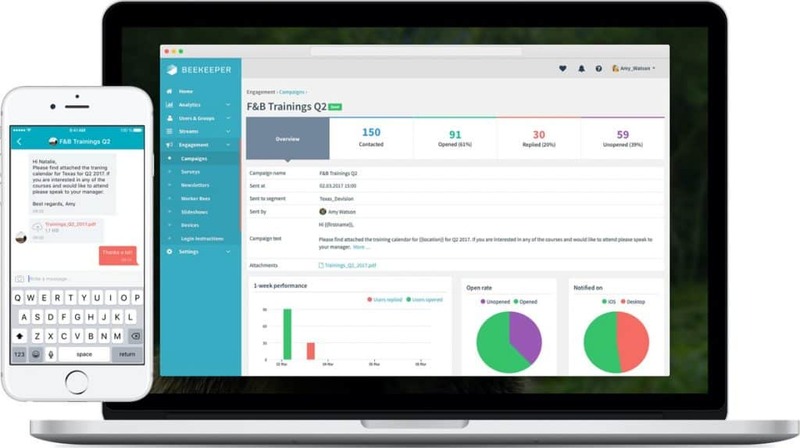 They found out about Beekeeper – a real-time, secure, and intuitive digital Workplace Platform to enhance internal communications and engagement with every single one on the team. 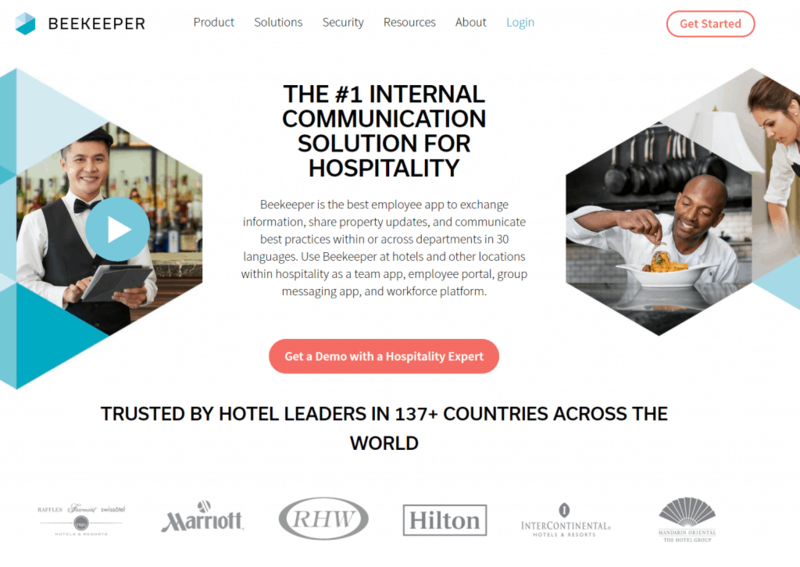 The Beekeeper App was deployed to every single employees’ phone to create a complete change in their hotel’s working dynamic. Now through the fast and easy access via the App employees are more interested and excited to find out what’s going on throughout the hotel. The App has also become the place for employee recognition. From sharing accolades for a job well-done to “New Kids on the Block” posts complete with photos announcing new hotel team members. Beekeeper is also used to automate the on-boarding process starting on the day the offer letter is signed. The hotel credited Beekeeper for promoting and sustaining a sense of belonging and employee engagement amongst their hotel workforce. 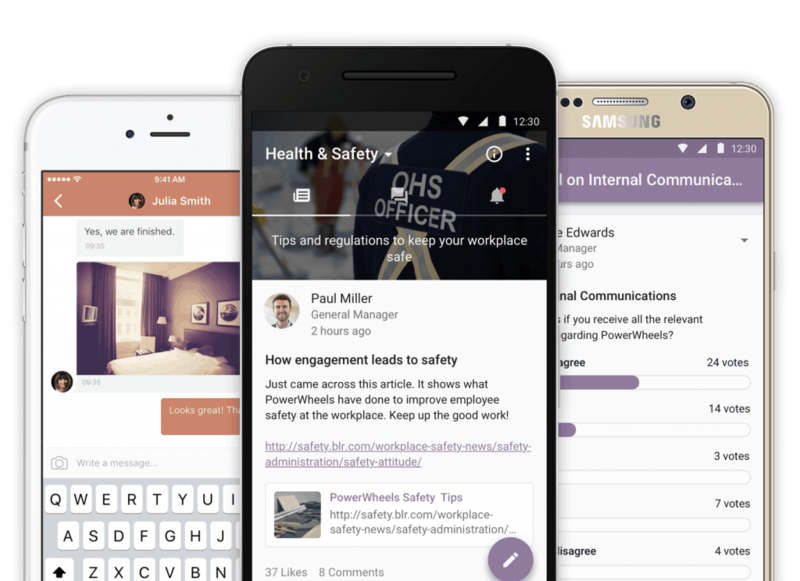 Ingraining the mobile collaboration tool into every aspect of their employee communication employee engagement has increased by 23% while staff turnover has decreased by 39%. In addition, 60,000 SGD were saved in annual internal communication costs. Hospitality is all about creating an unforgettable experience, and the service a hotel provides plays an integral role in offering this. Beekeeper has empowered this hotel’s workforce with better employee communication to support their mission-critical, superior hospitality service. Among employers offering wellness programs, more than half saw a decrease in absenteeism; 66 per cent reported increased productivity. One of the largest hospitality company in Singapore carry a high number of blue collared workers who work in long strenuous shifts which results in high turnover rates. They decided to do a wellness challenge for their staffs so as to connect the large disparate workforce and helps to create healthy habits. This should help them bring down stress levels and enable employees to be more efficient at work. 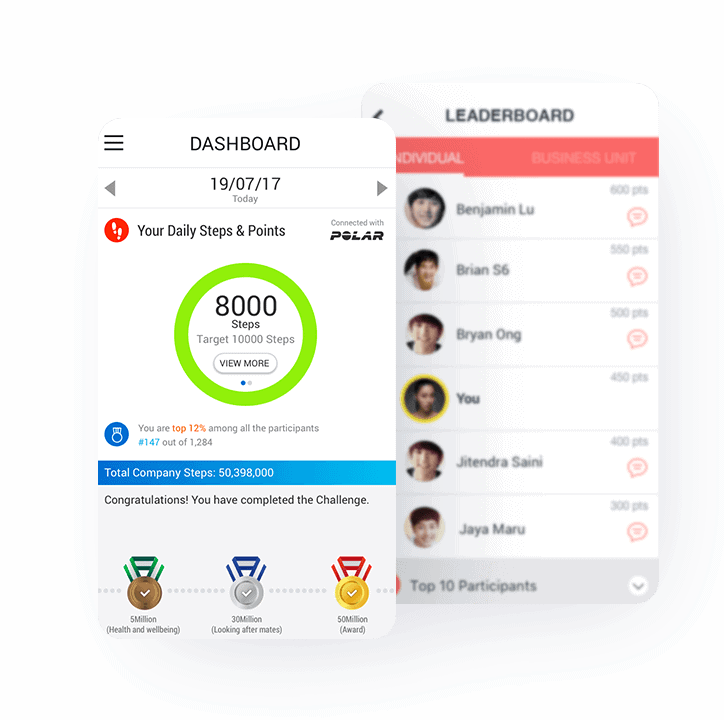 They engaged Rewardz to provide a mobile app service to implement a wellness initiative – Steps Challenge, specifically their Flabuless steps challenge that is easy for employees to register and participate in. Bundled with incentives, the platform enables employees to have fun together by going out for runs and exercises in small groups. The platform sees over a whopping 92% active users daily. Average steps per staff increased to 12,000 per day and they clocked a total of 42 million steps daily as an organisation for a total of 1.28 billion steps in the month. The top user even clocked 2,377,483 steps on his own. The high participation rate observed in the month of July saw the Flabuless app trending on the iTunes stores in Singapore. Beyond just becoming more healthy, the company believed that this will go a long distance in improving team bonding and employee morale. It was very well received by elderly and blue collared workers and this was the target workforce that they wanted to reach out through this challenge. Based on the feedback from employees and the positive buzz created by the challenge, the company is expected to do this program annually. Every industry is unique and hotels are no different. When it come to solving HR issues, the dynamism of dealing of people makes it even more complicated. Still, there are many digital solutions out there that could help alleviate some of these pains. And each of these case study is a solid proof. So go on, give them a try. You just can’t do worse. Question: Know any other HR techs that have done well in the hotel industry? You can leave a comment by clicking here.